Yesterday, we released an updated version of the Venmo iPhone app with new features & enhancements. Updated card.io to 1.1.1. Collect zip & send immediately. Login with short usernames now allowed. Allow redirect back to third-party apps after payment completion. 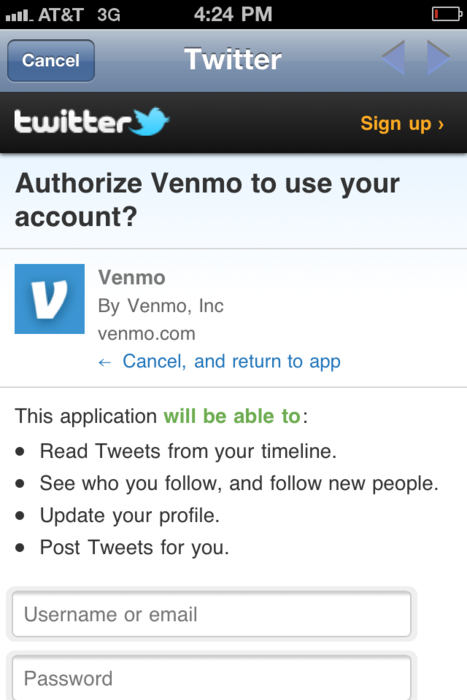 Get the updated version of the Venmo iPhone app from the App Store.